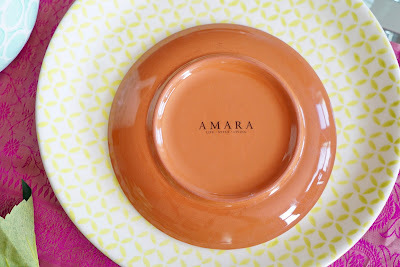 So with home decor on my mind, I was super happy when Amara sent me some of their new Sugarbush tableware collection*. 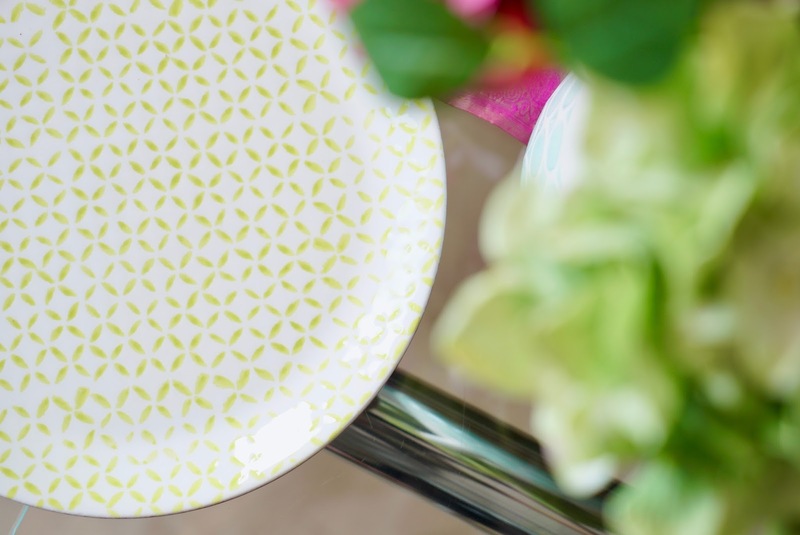 If you're looking for a way to brighten up your table setting this Spring or if you're planning on hosting some dinner parties over Easter, this range is stunning. 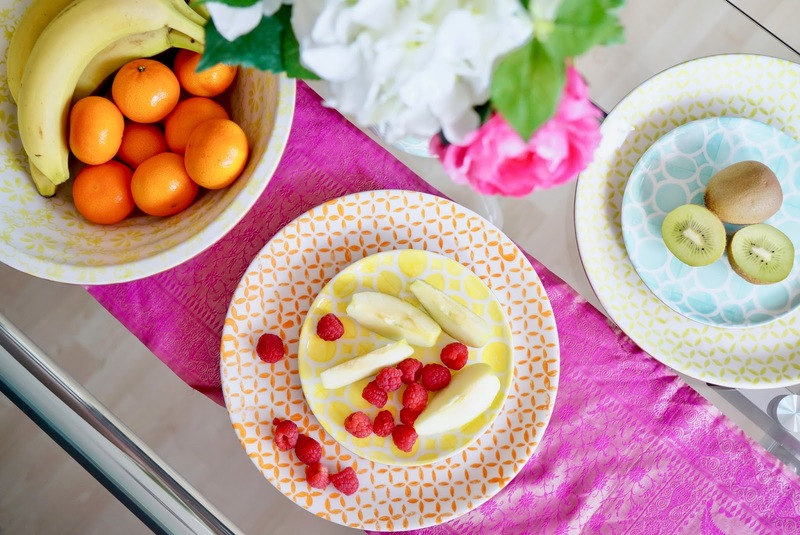 The Sugarbush tableware is part of the Bazaar collection and I was so inspired looking at the lookbook online - think Moroccan vibes with exotic patterns and vibrant colours. If you like to have friends over for dinner, then you'll probably need a nice salad bowl :) This green patterned bowl is big enough to throw in whatever dish you fancy. It makes a great centre piece and matches the yellow oven dish. I find cooking one pot dishes nice and easy when I have friends over, so this dish is great for that. It looks so stylish too, you can leave it on the table for people to help themselves. 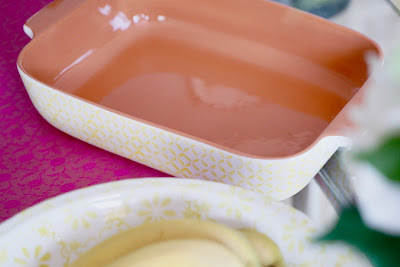 We have a clear oven tray but it's got burnt marks on it so this terracotta finish looks much better! 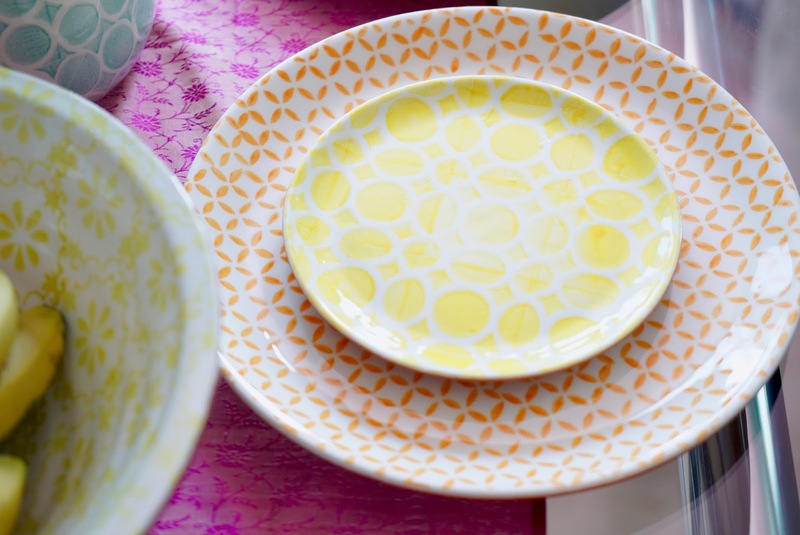 What stood out to me with the tableware is the colours and patterns, the print reminded me of tiles you see in some Mediterranean home and I love the terracotta base. 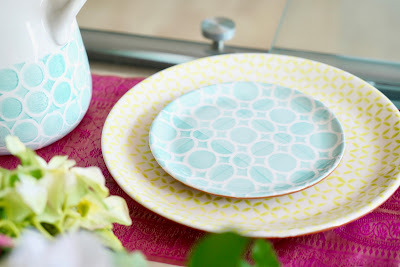 It gives everything a nice rustic feel and they're such a nice change to our plain white plates! 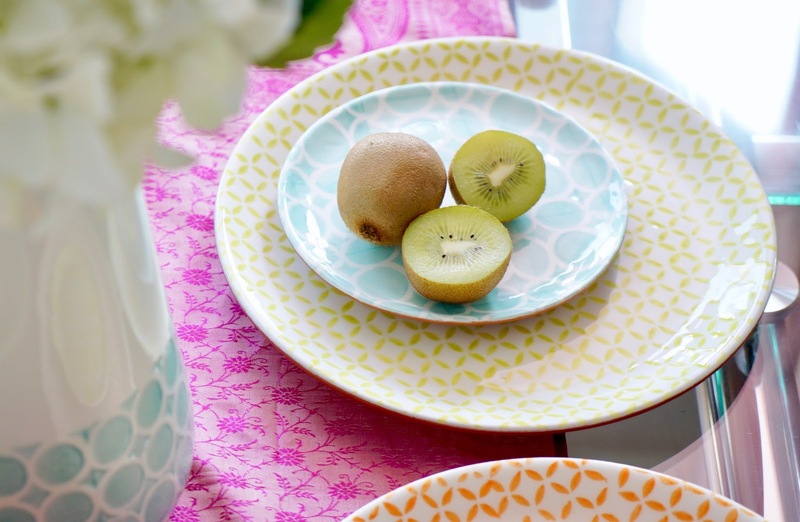 I've really been enjoying using the dinner plates which comes in the orange and green pattern. I said to Hang they make our dinner look so much more appealing! 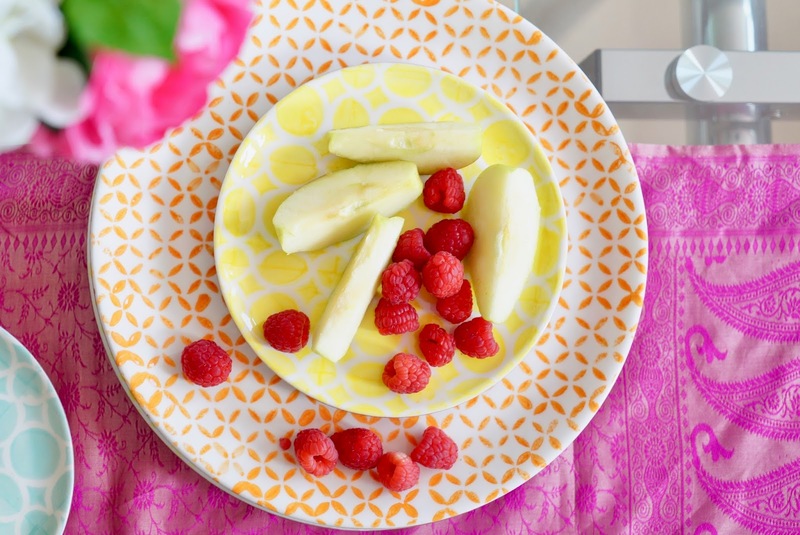 Who knew nice plates could make such a game changer? They're not just pretty to look at but hard wearing and sturdy too - can definitely feel the quality. The matching tapas plates are so cute, they come in turquoise and yellow. 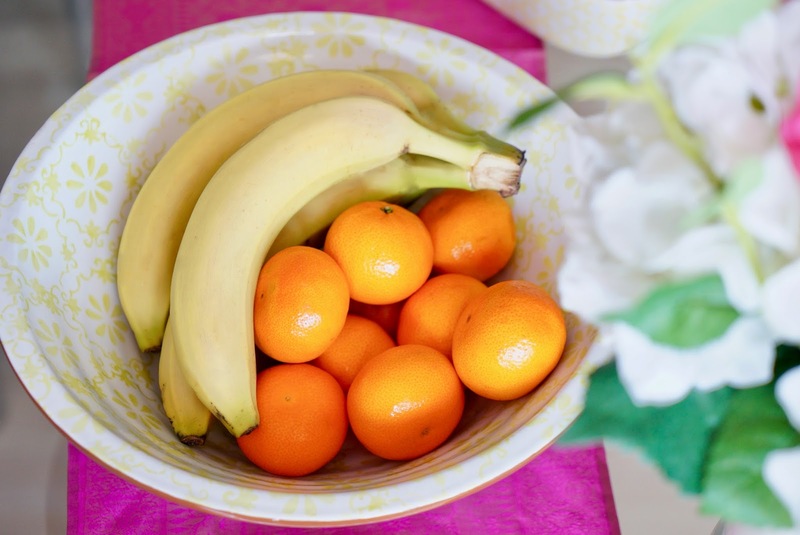 They're a great size for appetisers, fruits or snacks. They're 17cm which is so dinky! 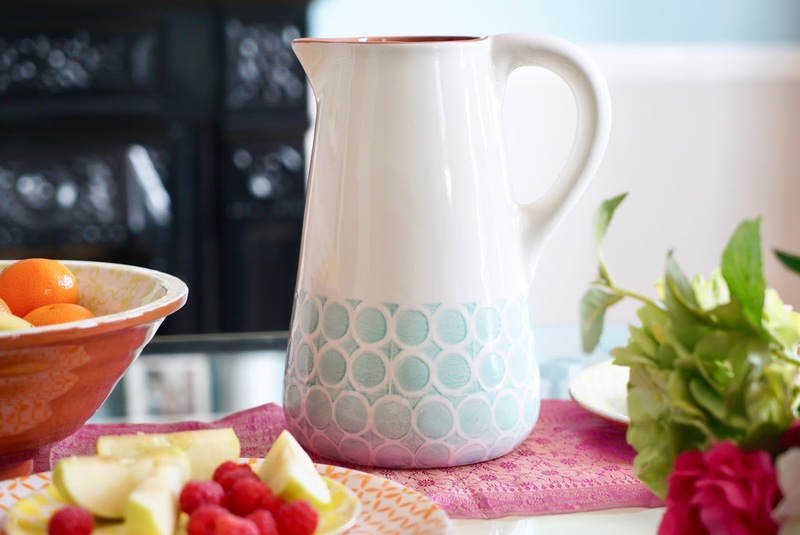 To finish off your table setting, this blue patterned jug is just gorgeous. I love the mix of white and blue, it looks so fresh. It's also huge so you can really fill it up! If you're not using it for drinks it makes a great vase for flowers :) Thank you so much for Amara for sprucing up our dining table and being able to share this collection with you guys. 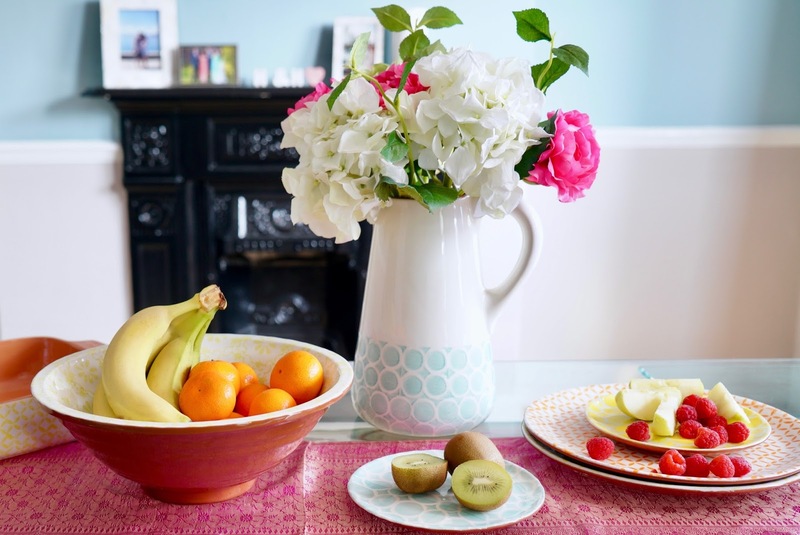 I hope this post has inspired you to brighten up your home, I would love to know what you think of the collection? What are your must haves for your dining table?